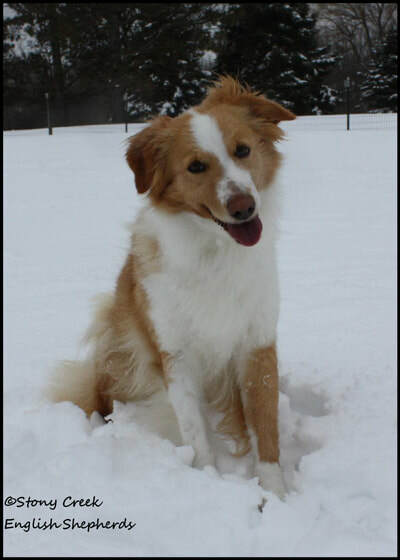 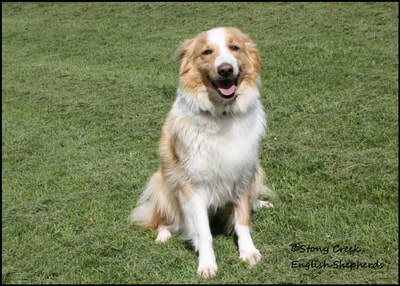 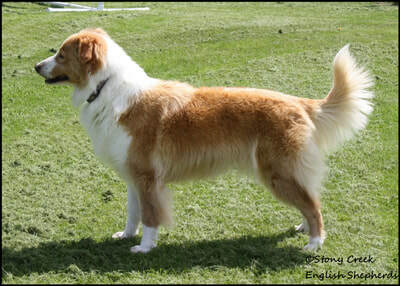 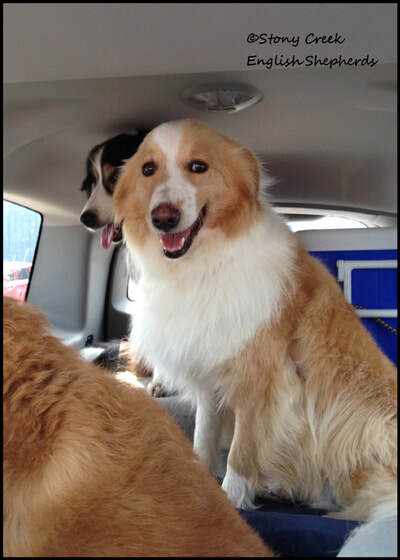 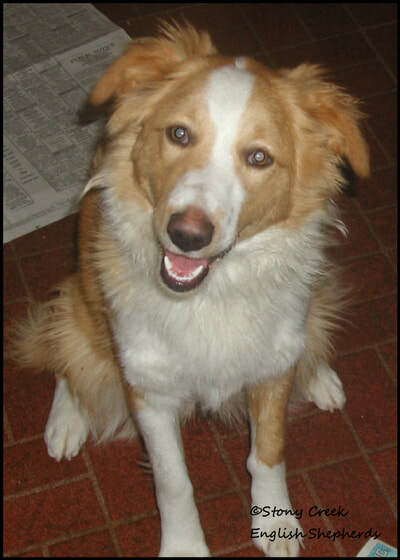 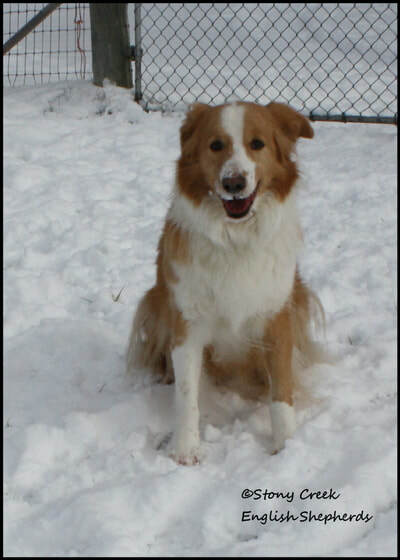 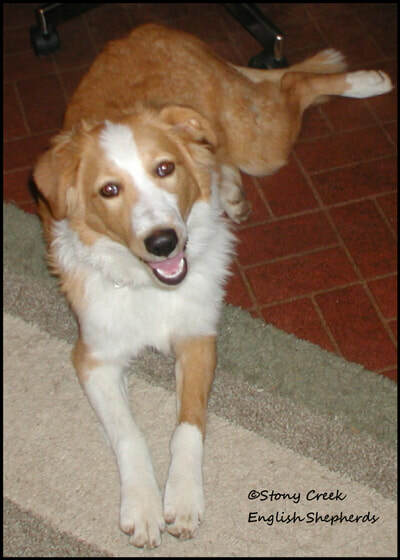 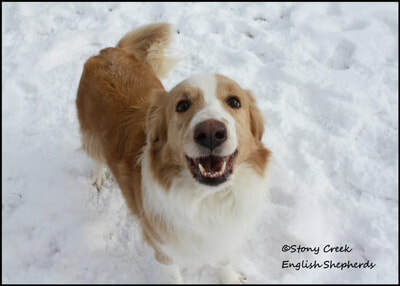 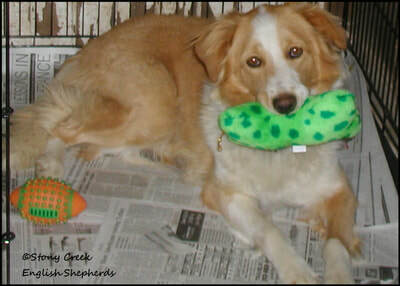 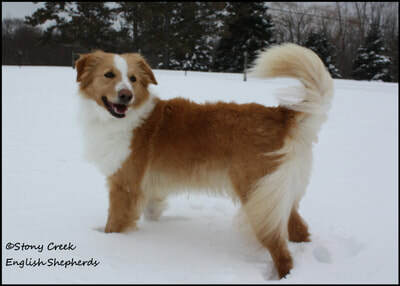 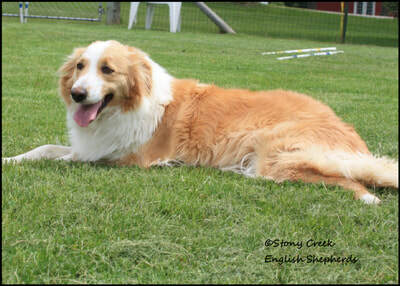 Brie is a 40 pound, 19 ½", clear sable & white female with traditional Irish markings. 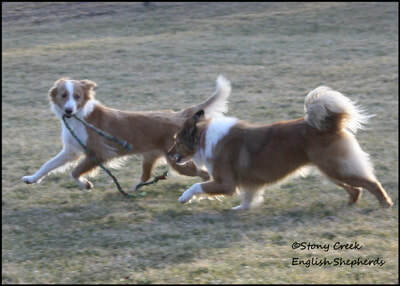 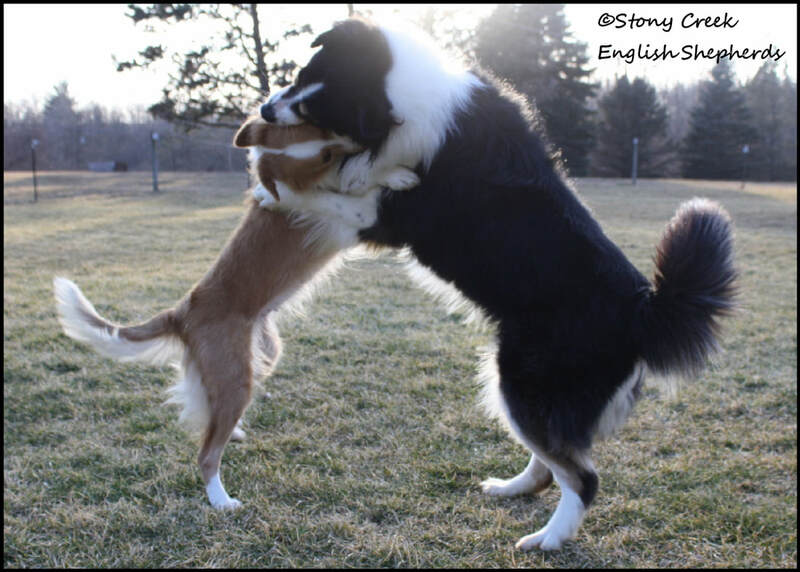 Brie came to live with us as a young pup & quickly bonded with Rhyan. 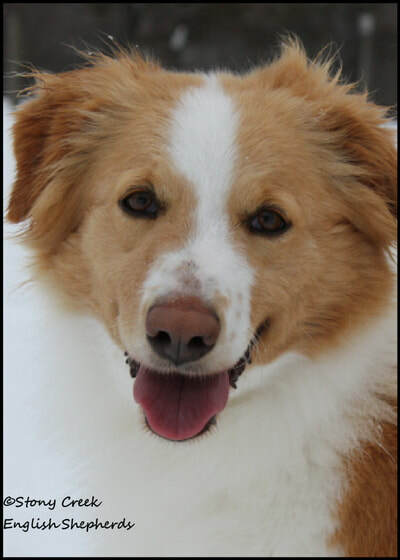 Brie is a sweet heart & sensitive girl. She is a good watch dog & protective but friendly once introduced. 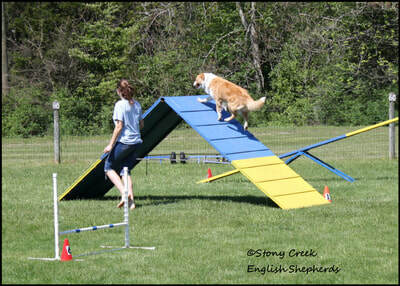 She gets along well with everyone & really enjoys agility. 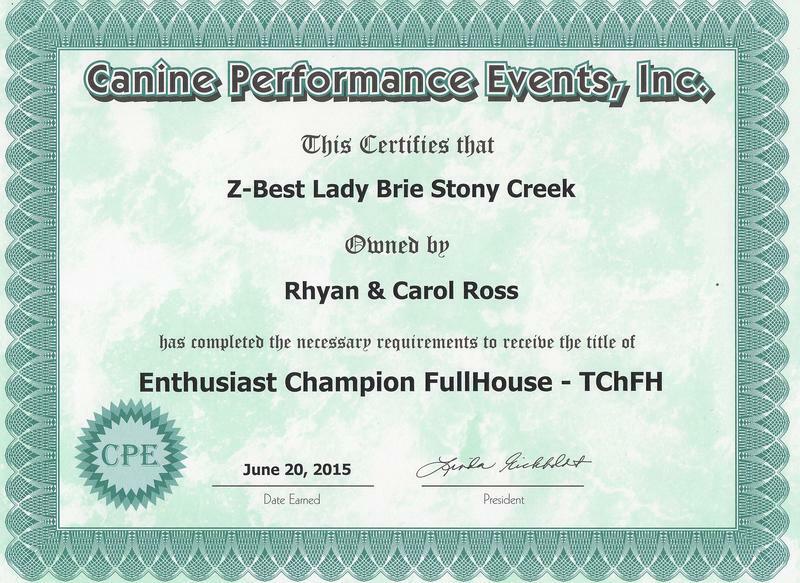 Brie loves the sport & shows great enthusiasm towards it. 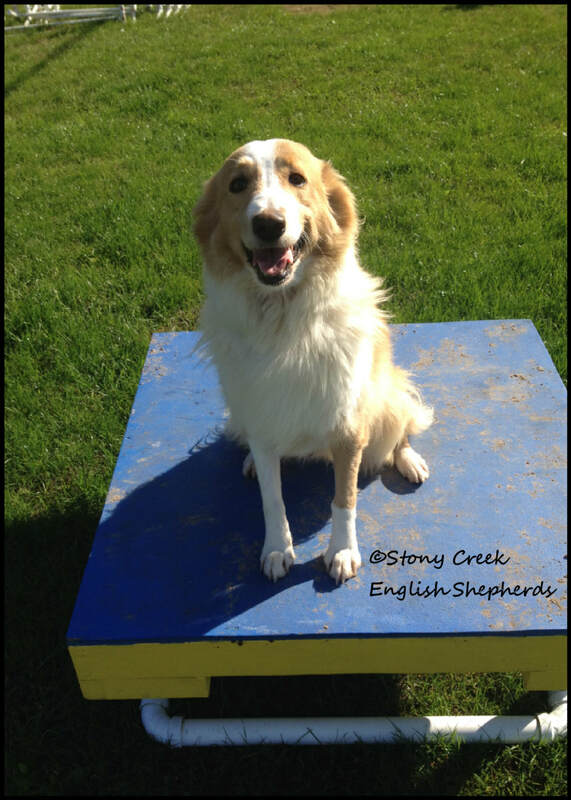 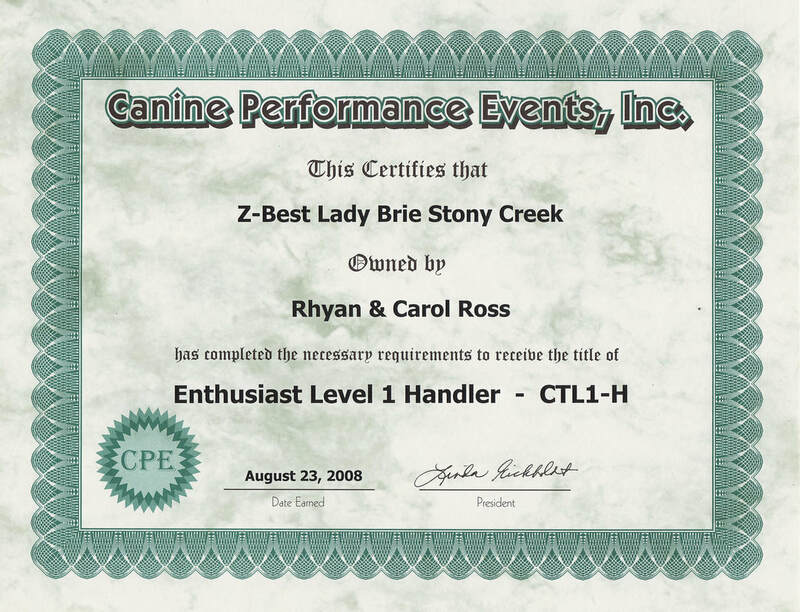 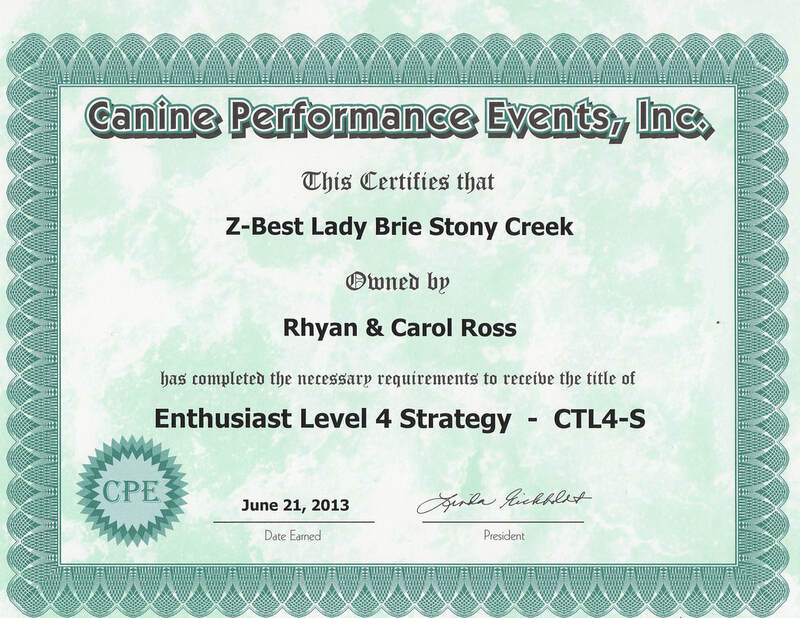 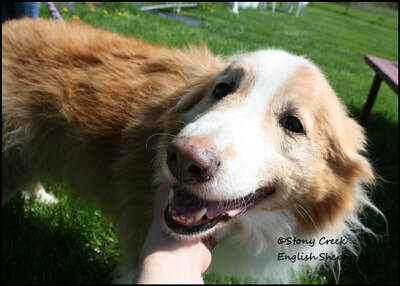 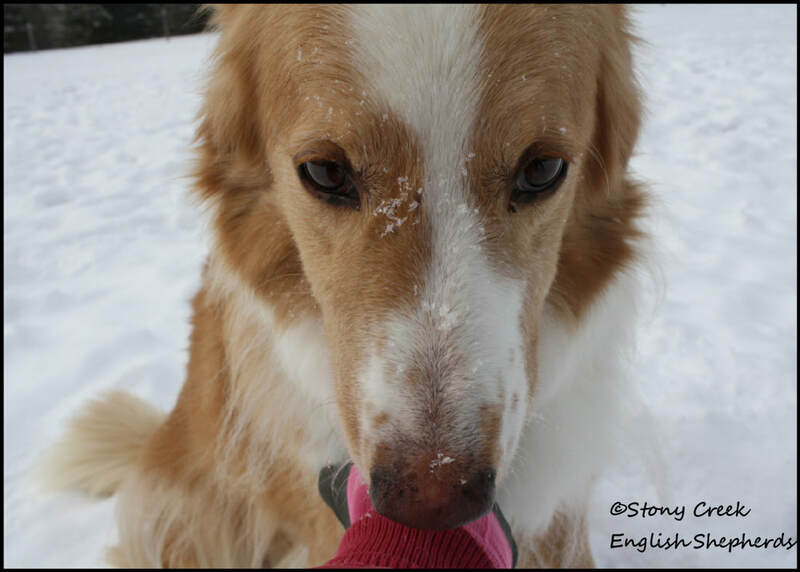 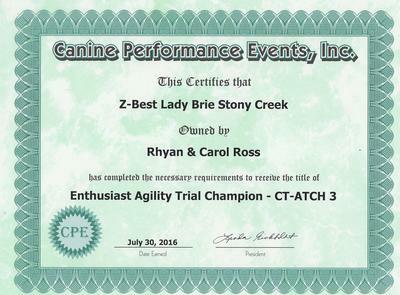 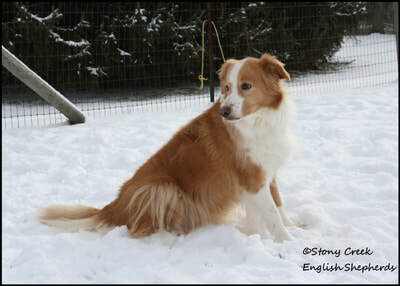 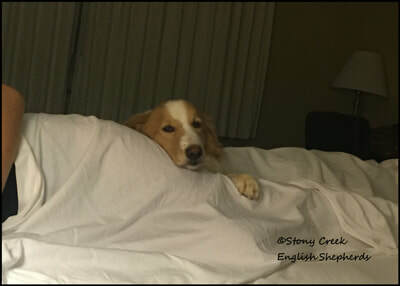 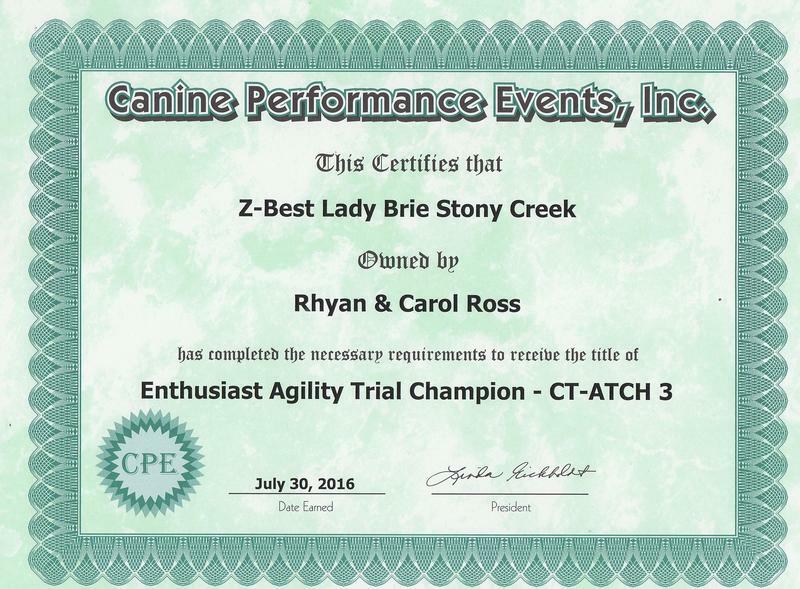 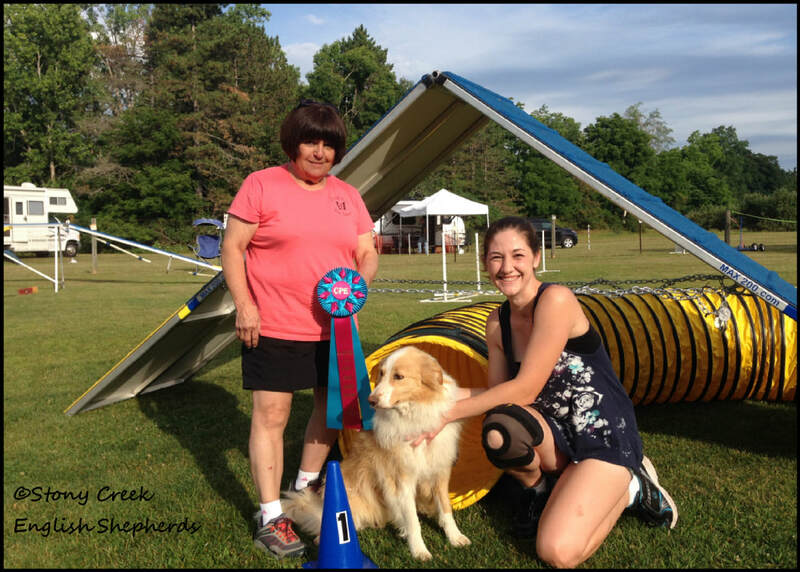 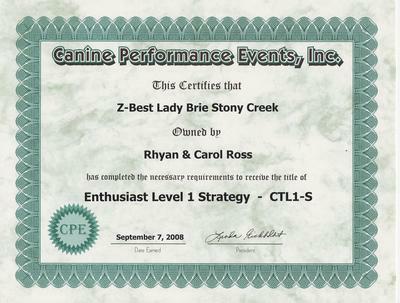 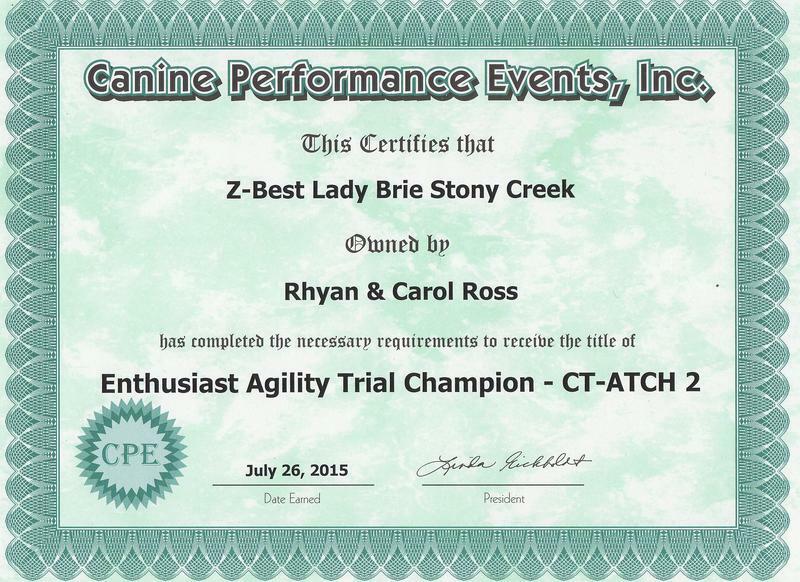 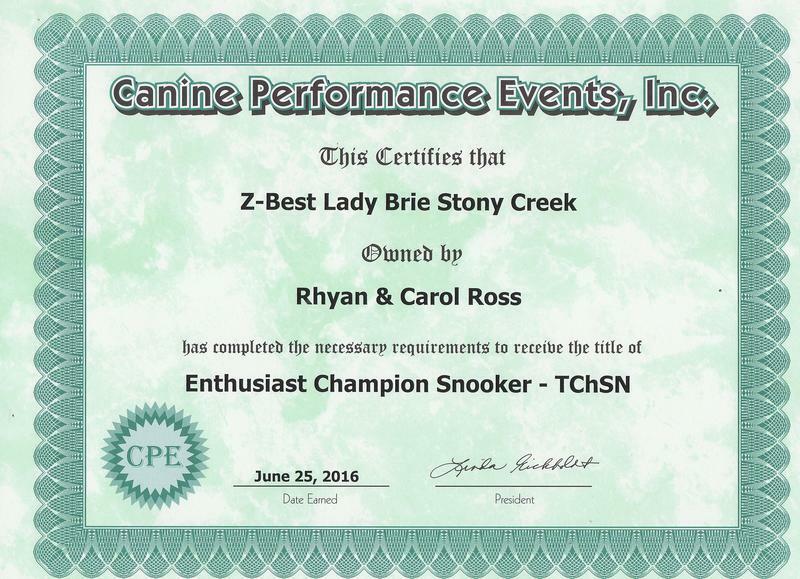 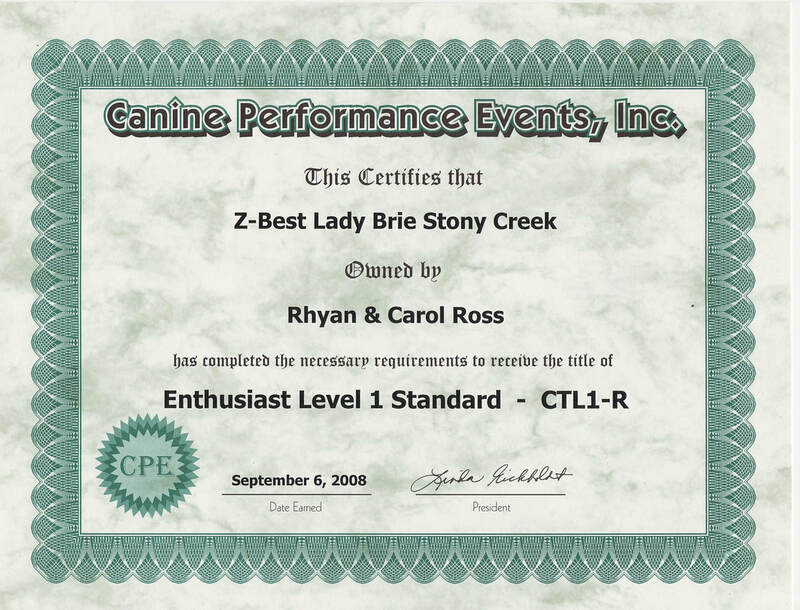 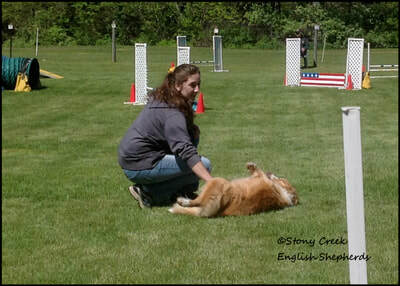 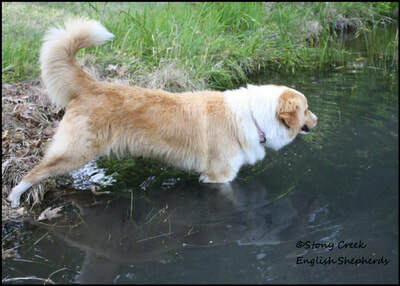 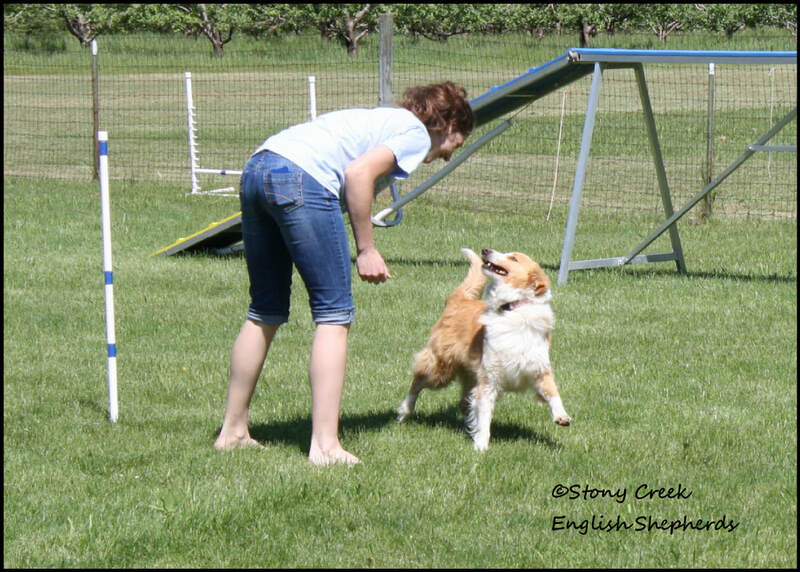 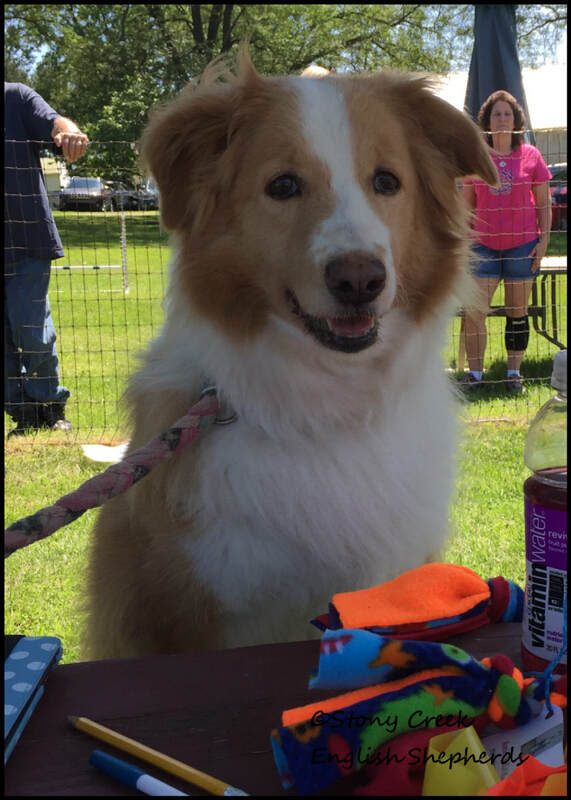 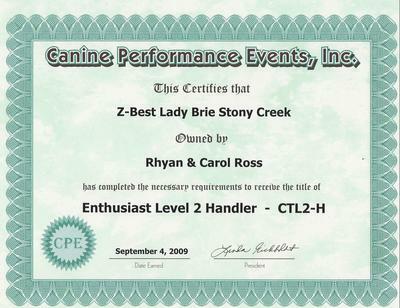 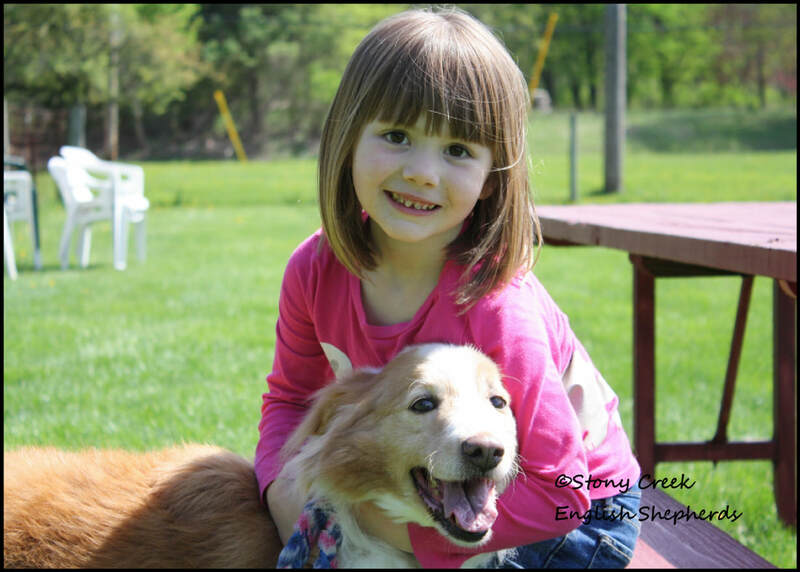 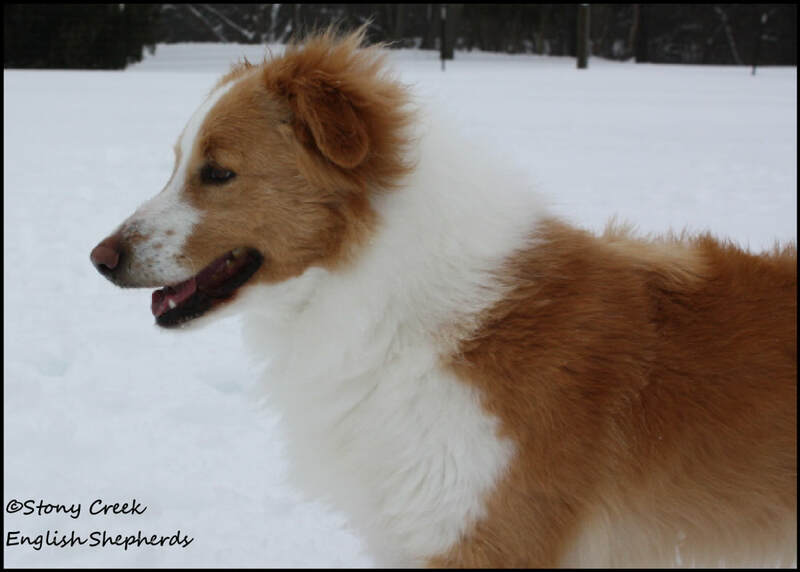 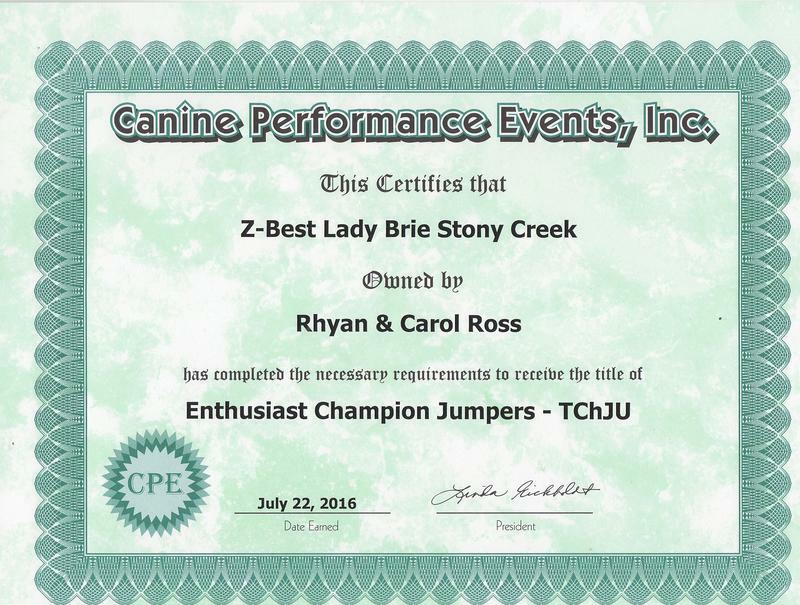 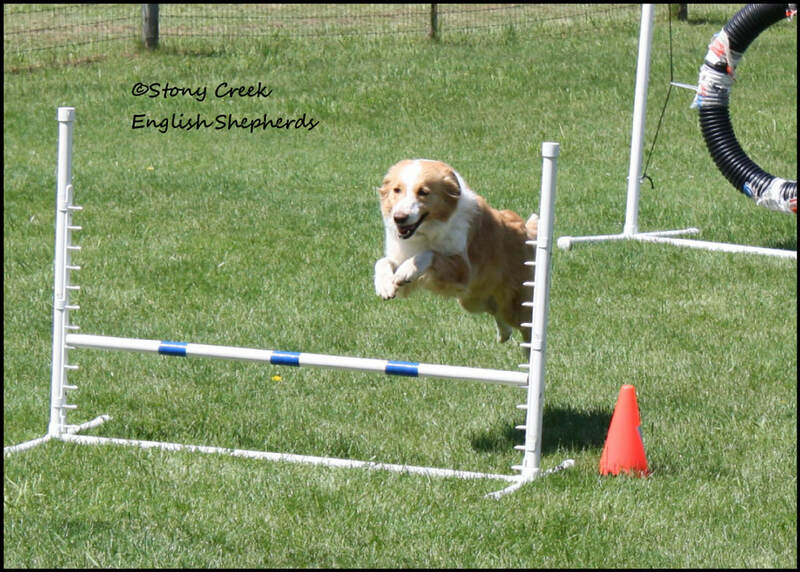 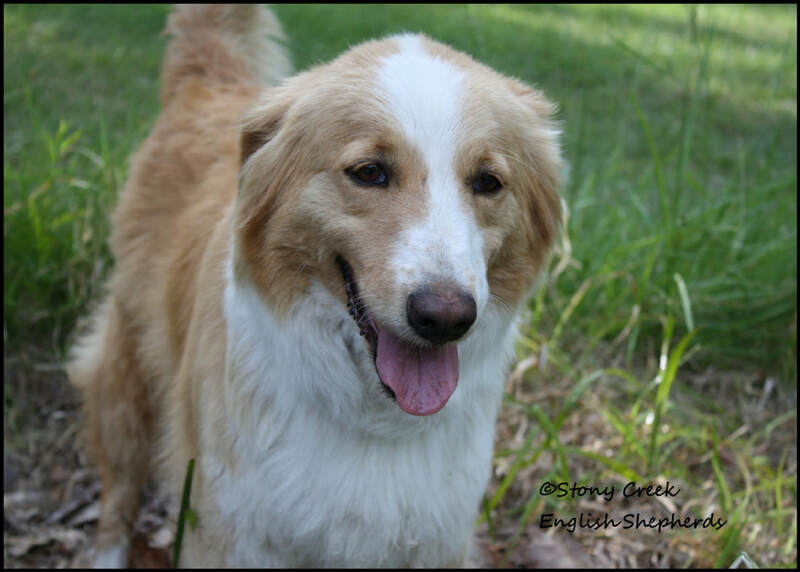 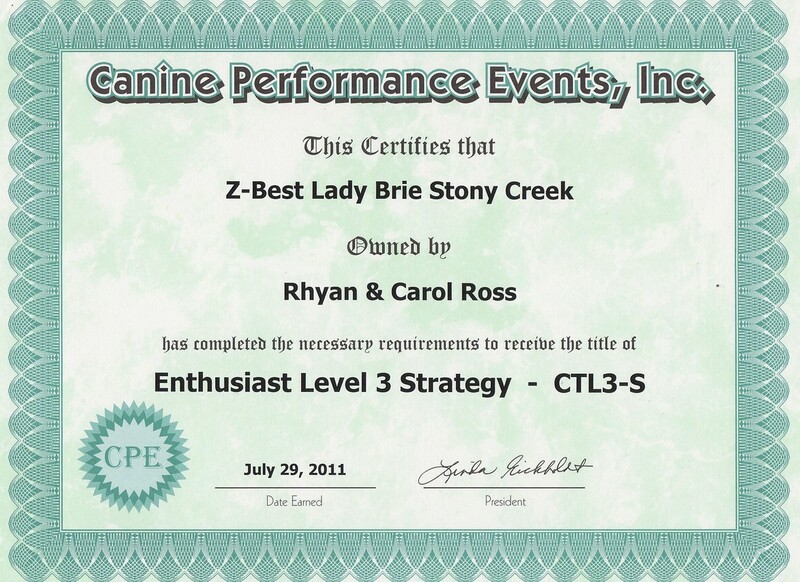 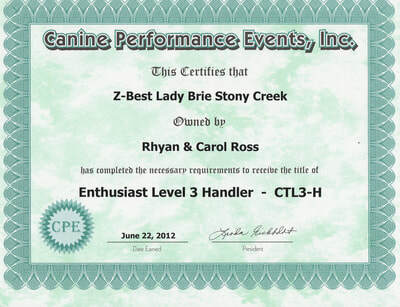 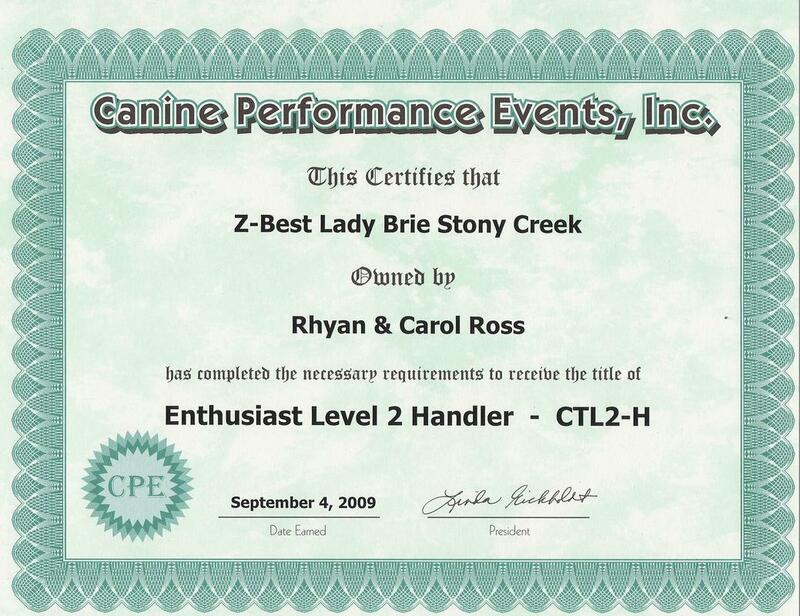 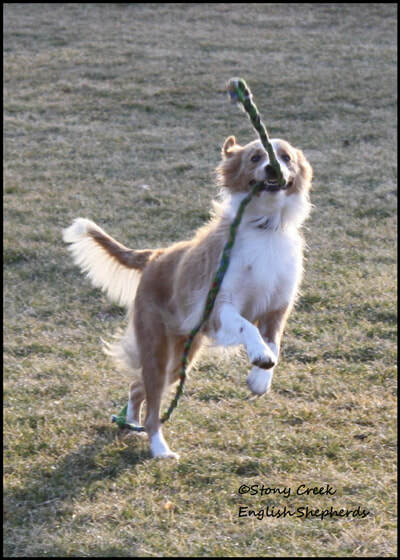 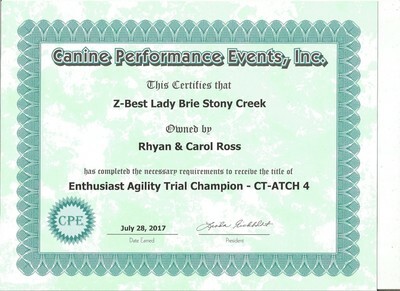 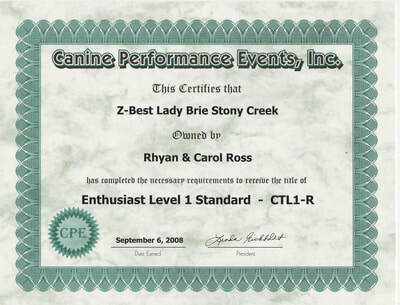 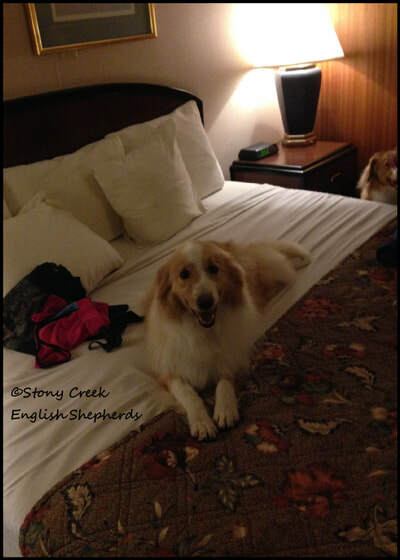 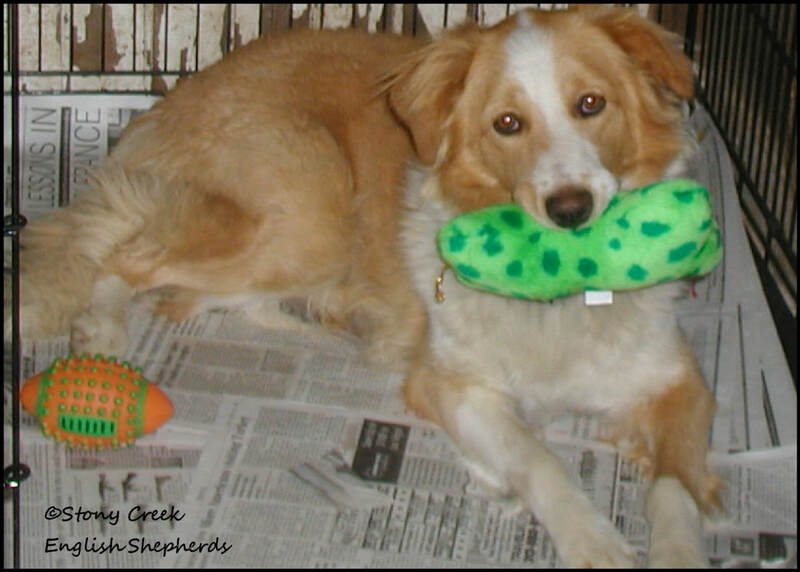 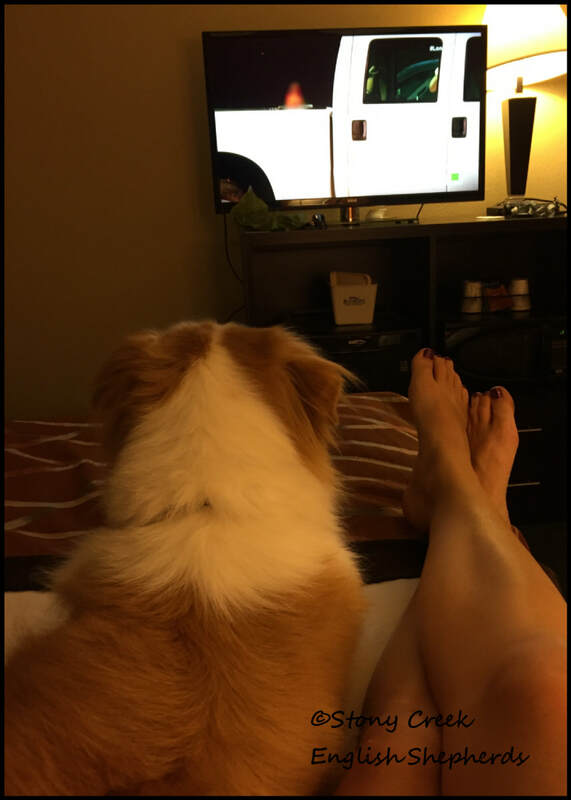 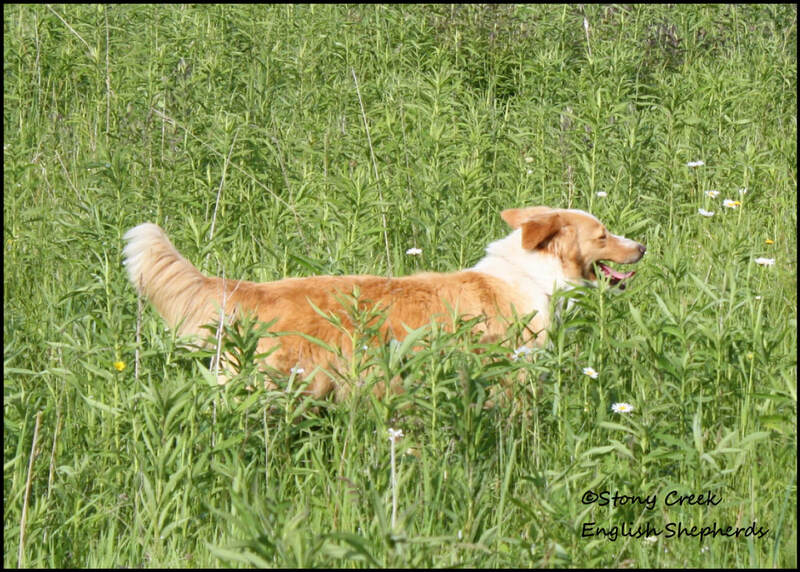 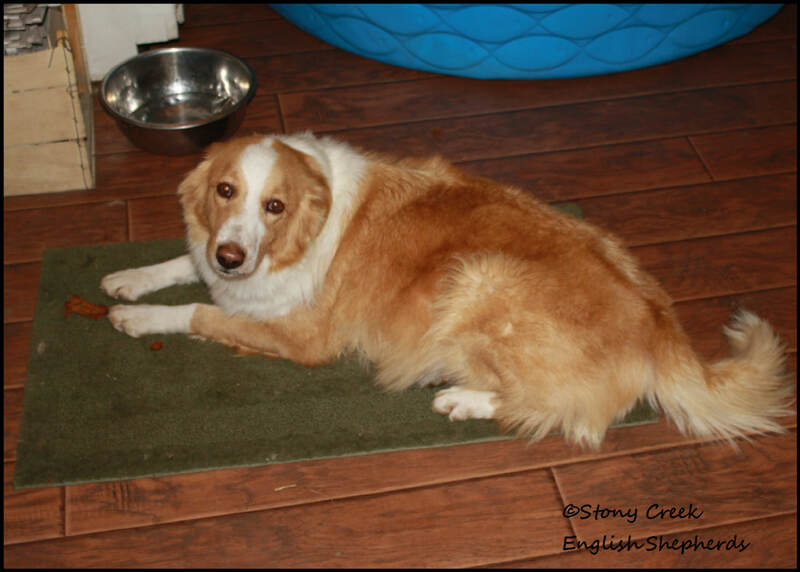 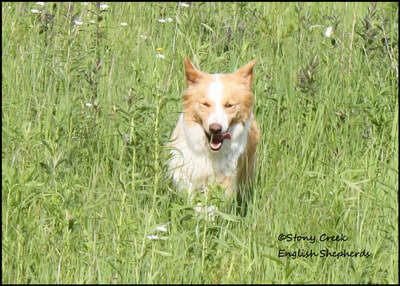 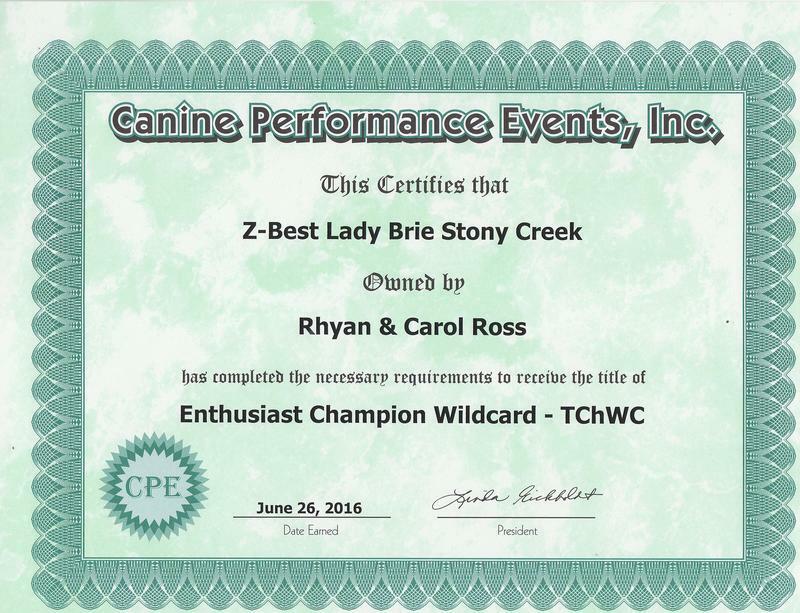 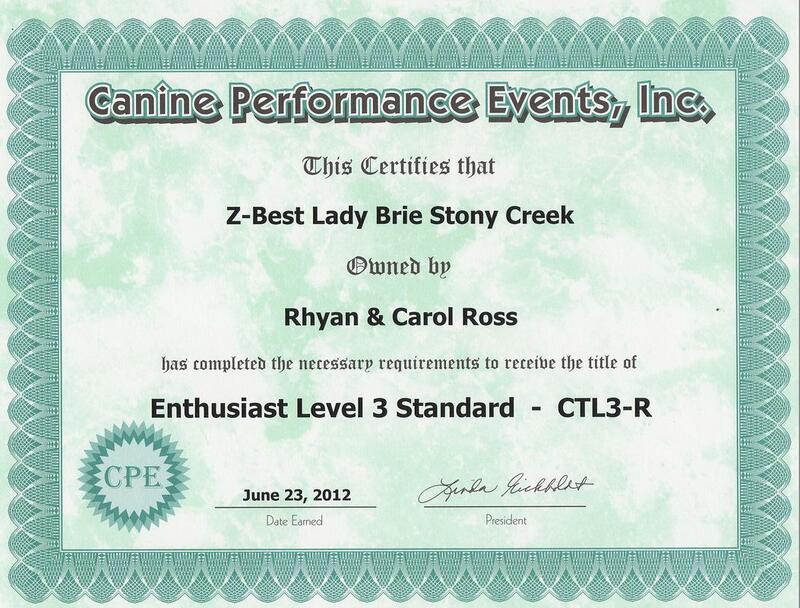 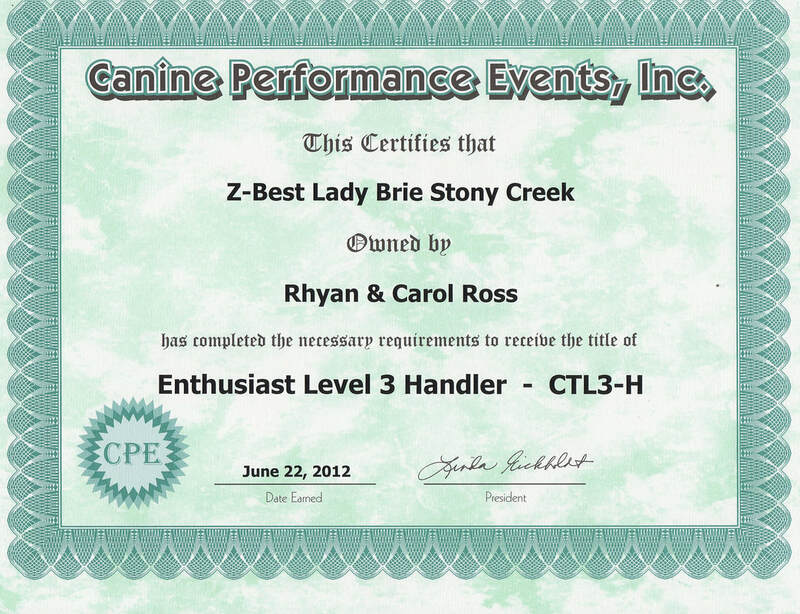 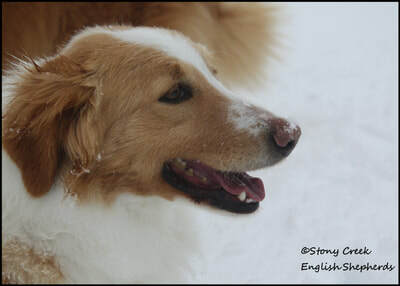 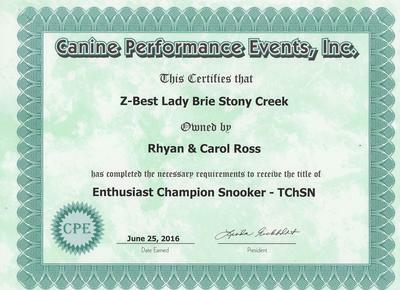 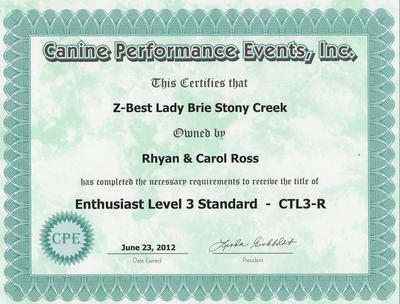 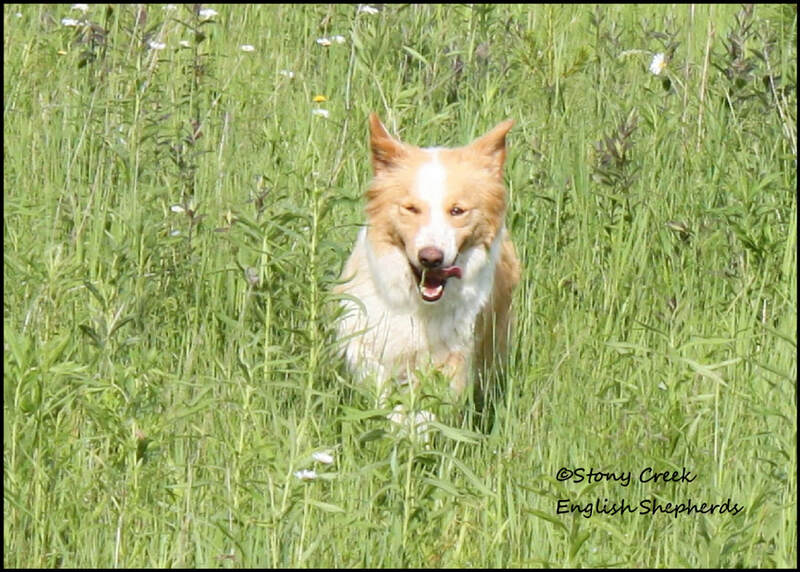 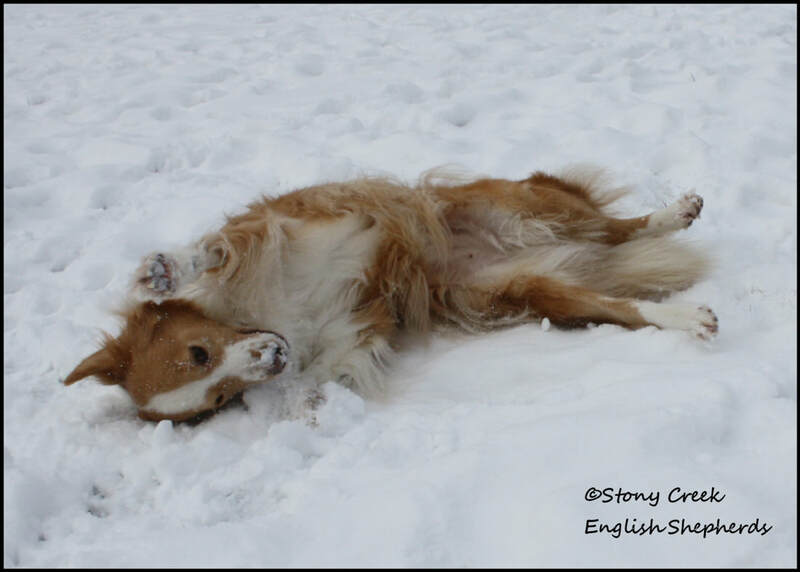 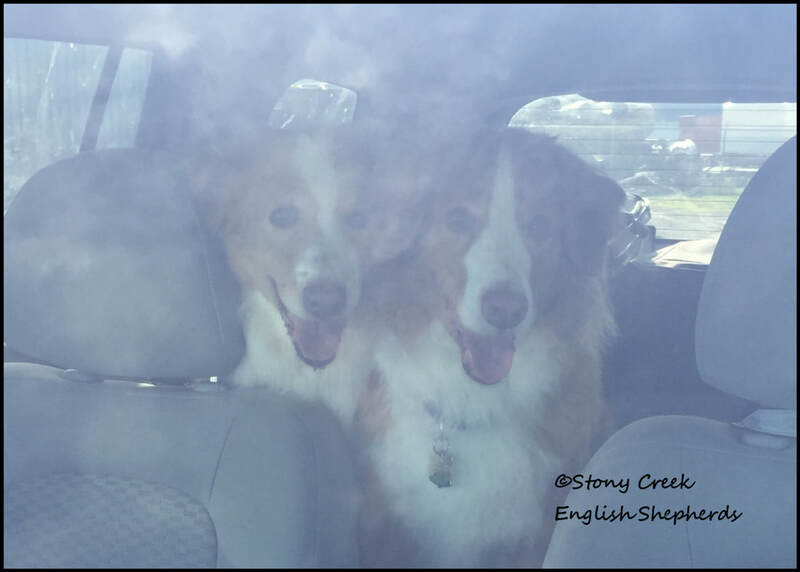 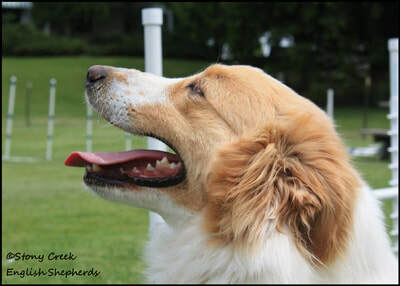 She has earned several CPE agility titles & is still competing at 11 years of age. 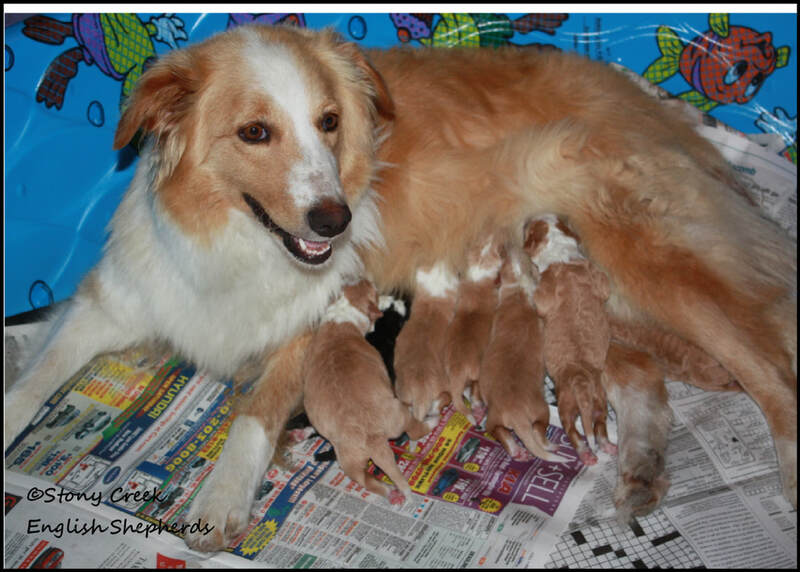 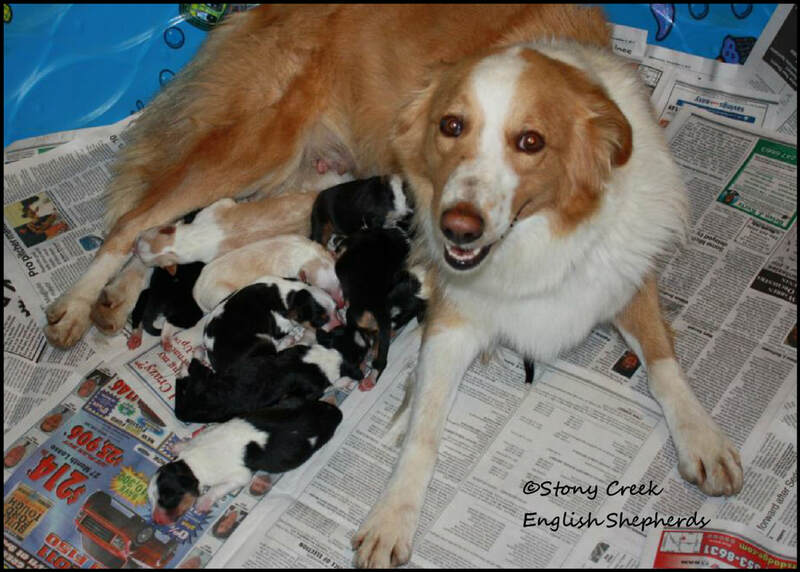 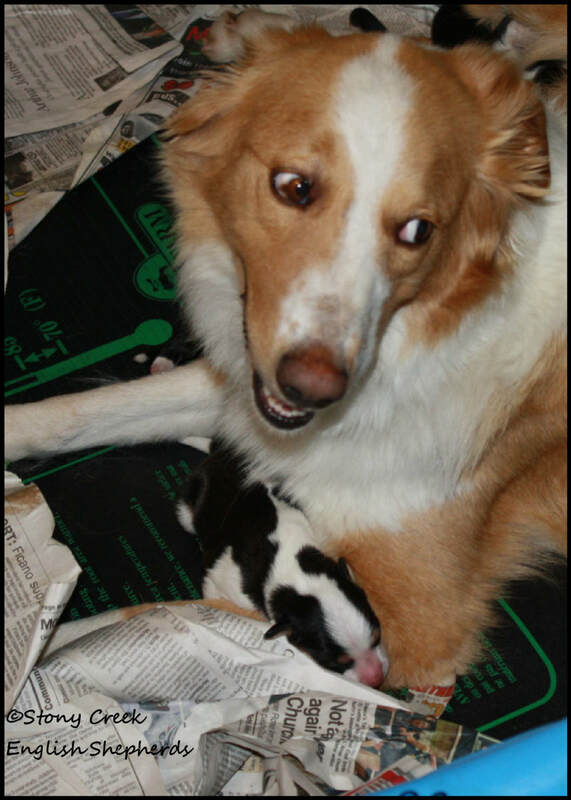 Brie was a wonderful mother to the "BB", "EE" & "II" litters and a loving grandmother as well.